So, you’re brown-bagging your lunch, clipping coupons and saving your pennies. Now what should you do with your savings? It’s time to do a little planning and settle on your savings goals – both short-term and long-term. Don’t simply decide you’ll keep your extra cash in your checking account and vow not to touch it. It’s far too tempting to justify a splurge on a cute pair of shoes or a night out when the funds are so readily available. Set up a separate account for your emergency fund. This account should be separate from any other savings account, as well. It’s important to start with a goal in mind, but don’t set your sights too high at first. Trying to save too much and cutting out all fun money can lead to frustration and send you off course. Choose a realistic initial goal, like $500 or $1,000. 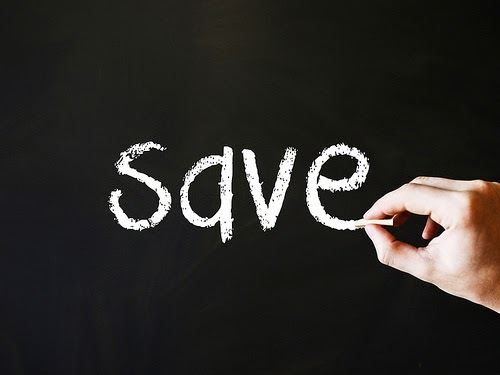 Employ some of the tips from my previous post to gather up initial savings and help you reach your goal as soon as possible. Once you reach your initial goal, set a new goal. Your second goal could be to save enough to cover one month of living expenses. Experts generally agree you should have three to six months’ worth of expenses in your emergency account. Make this your ultimate goal, but don’t get bogged down with how far away those numbers seem. Remain steadfast with your commitment to save, and watch your account grow. Make saving a habit in order to grow your fund, and increase the amount you can save each month as your situation changes. Consider setting aside a portion of each paycheck, and have it directly deposited into your emergency savings account. You may never miss the money you don’t see in your checking account, and this way you won’t be tempted to spend it. A little bit each week can add up quicker than you think. Emergency funds are just that: funds to use only in case of a crisis. Be clear on what constitutes an emergency for you. Large car repairs, appliance repair or replacement, and loss of employment all qualify. Nearing the end of a pay cycle and not having quite enough to purchase concert tickets, however, does not. Resist the temptation to dip in when it’s unnecessary, and honor the true purpose of your fund. And as emergencies do pop up, remember to USE your savings. Many people get caught up in hoarding their savings and forget why they created an emergency fund to begin with. Don’t sink yourself into debt when you have the cash available; you’re creating this safety net to use it when you need it. You should choose to rebuild emergency savings instead of incurring debt and paying high interest. Saving now will allow you to handle life’s future twists and turns without disrupting your living habits.